Ceiling Fans are a cost effective way to keep rooms cooler in the Summer – without having to run an air-conditioner all day. 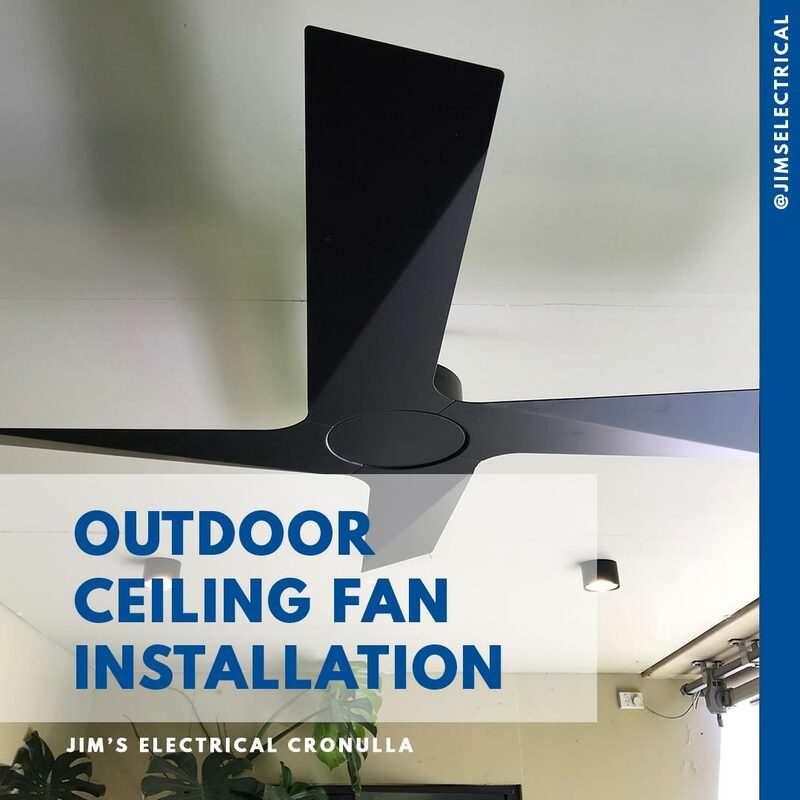 Jim’s Electrical can supply and install both indoor and outdoor ceiling fans. 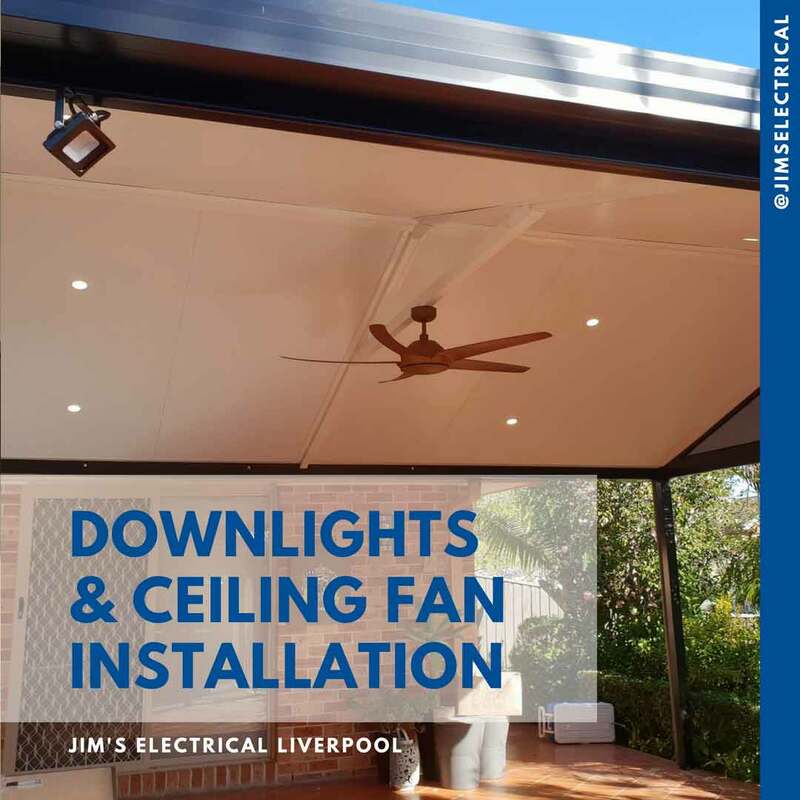 Our experienced electrical team will ensure you get the perfect fan for your home or business. 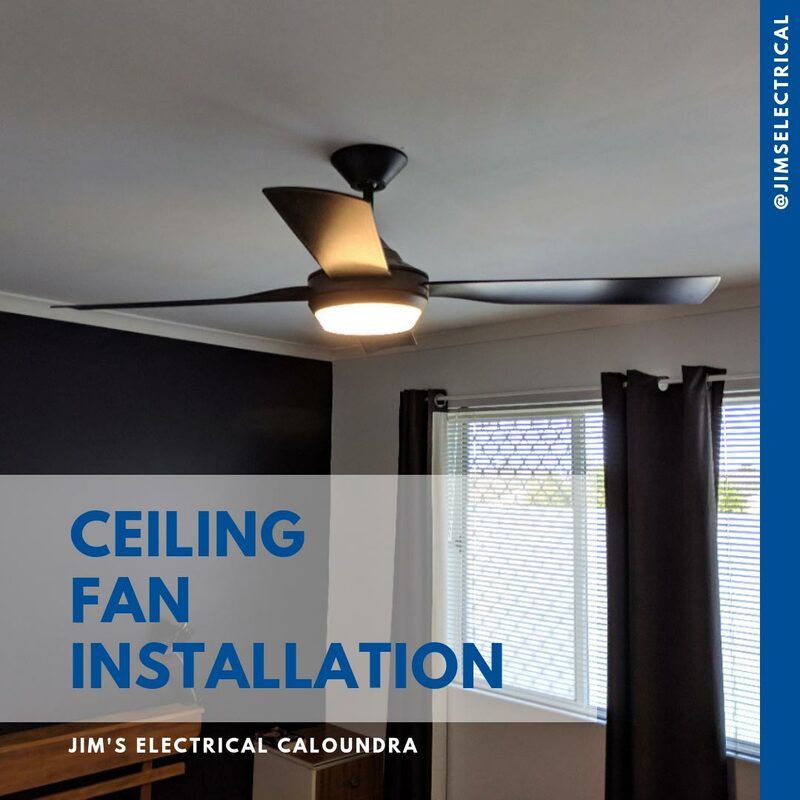 Under Australian Law your ceiling fans must be installed by a qualified electrician. 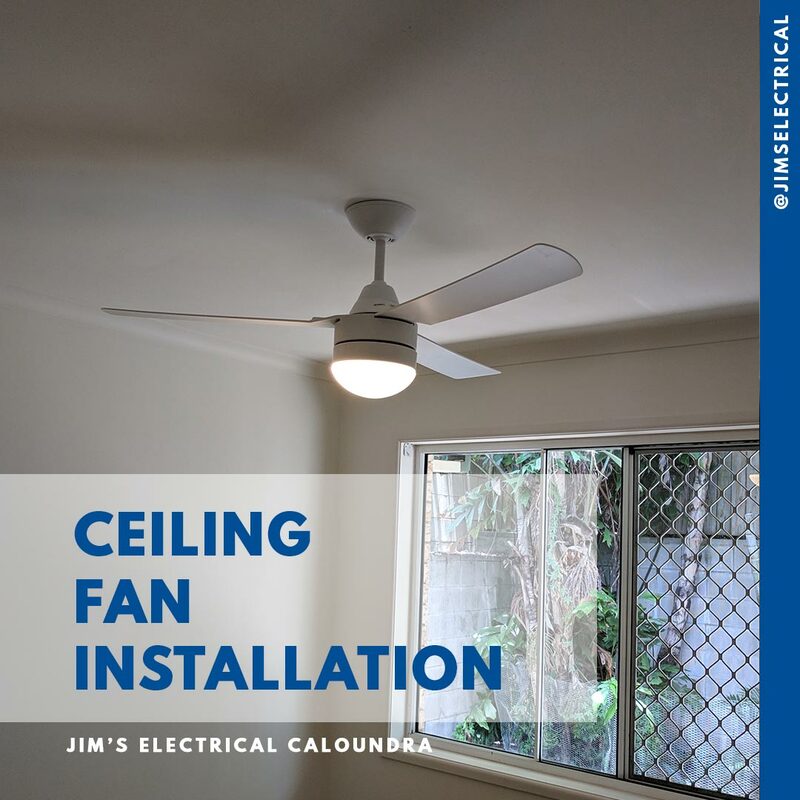 Jim’s Electrical offer a range of electrical services, including both new ceiling fan installation, or the upgrade of existing ceiling fans. The cost of ceiling fan installation depends on the style of fan that you choose and how long it takes to install. A large range of indoor ceiling fans are available. The style of fan that you require is based upon both the look of fan that you would prefer, along with the size of the room. 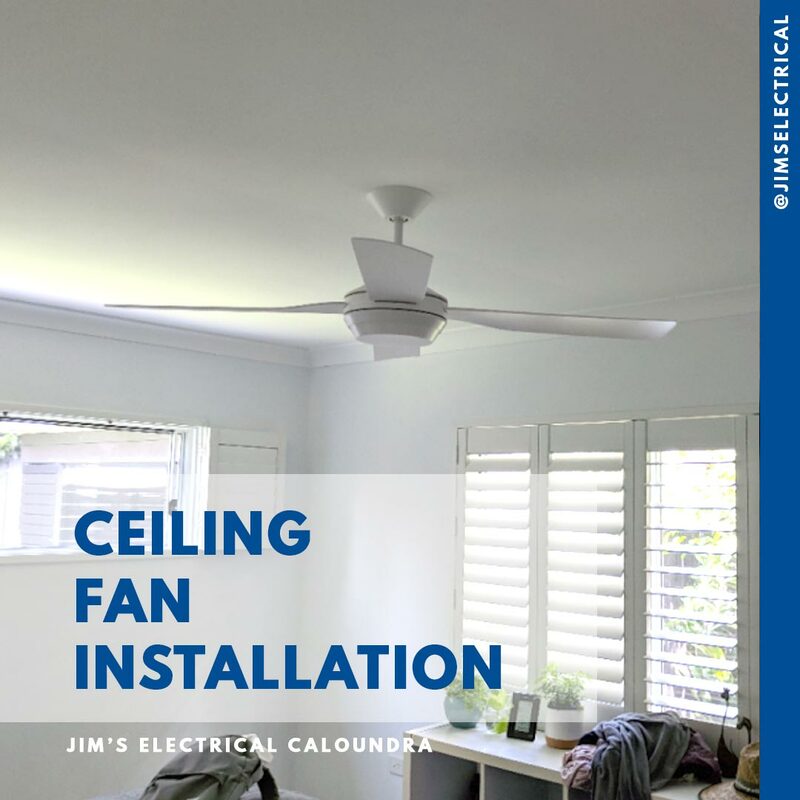 Jim’s Electrical can help you select the fan appropriate for your room. 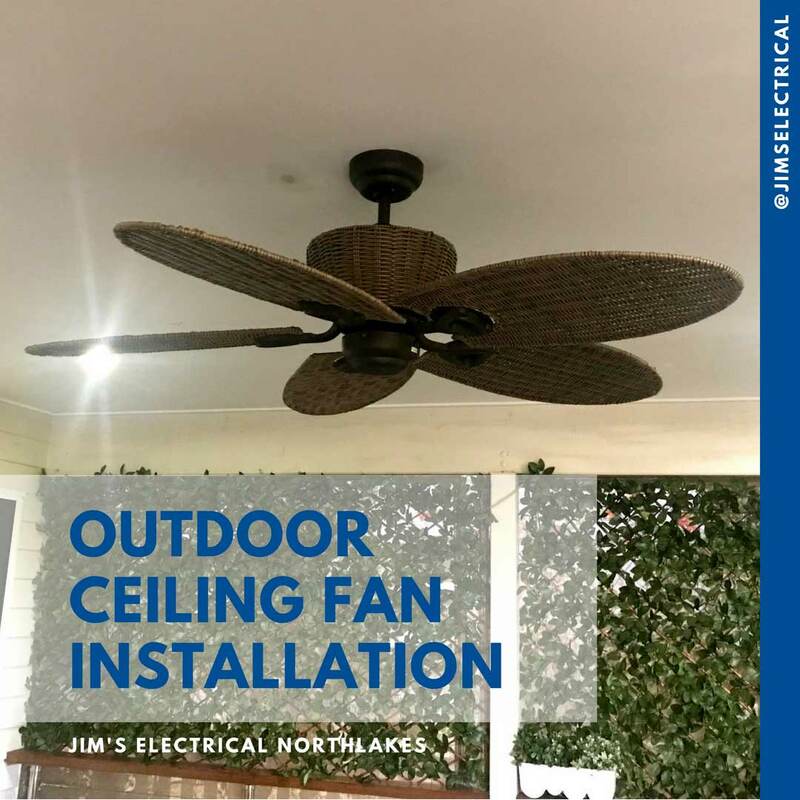 Outdoor ceiling fans give you a cost-effective way to cool down on the patio or porch. Outdoor ceiling fans are a great way to improve comfort and relief in hot weather. 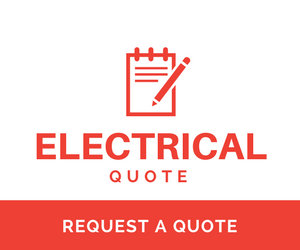 Contact Jim’s Electrical to discuss the different options available for your space. Please call 131 546 to discuss your ceiling fan installation.